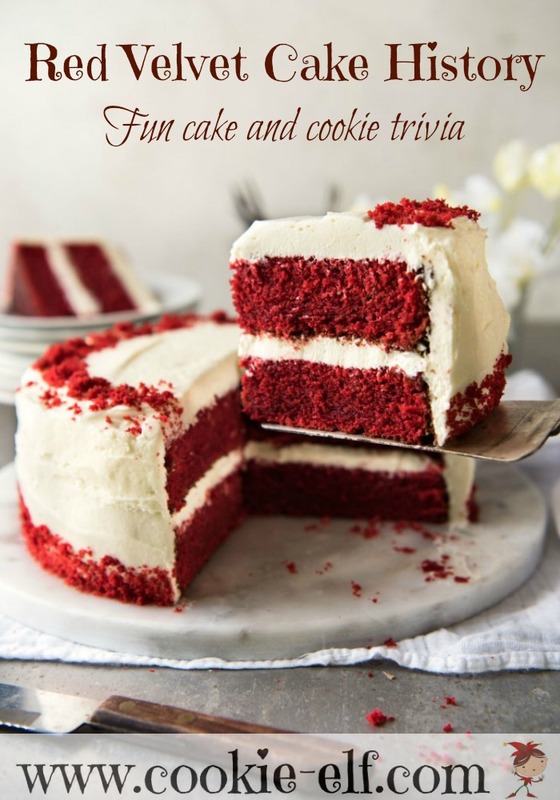 Plenty of trivia swirls around red velvet cake history. It’s a cake flavor that has launched a whole culinary and lifestyle movement! But if you do a search for “red velvet cake history” or even “red velvet cookie recipes,” you get a pile of conflicting information. What Exactly Is Red Velvet Cake? It’s a layer cake. It’s chocolate. It’s made in various hues of (what else?) red, depending on the recipe. It’s frosted white. Today red velvet has morphed into more than just a type of cake, but rather a subtle chocolate flavor or fragrance that’s colored bright red and highlighted with bright white. Red Velvet Cake History: What’s the True Story? Honestly, no one really knows the truth. But here is what we do know. To add on to the intrigue, what we now call brown sugar today was, at the time, commonly known as red sugar. What Made Velvet Cake Turn Into Red Velvet? A chemical reaction. Near the beginning of the 20th century, cooks noticed that the acid in buttermilk, vinegar, or baking soda combined with natural cocoa powder to produce a very slight reddish hue. Some cite this combination in recipes as the true beginning of red velvet cake. Today’s more common Dutch process cocoa powder yields a stronger, darker chocolate flavor in cake batter and a deep brown hue. It’s been neutralized to reduce its acidity. You can still achieve red tint if you use natural cocoa powder in your recipe. Of course, the easiest way to color your red velvet cake batter or cookie dough is with …. Beets. World War II sugar rationing led Americans to use sugar beets for flavoring and coloring in cooking –hence red velvet cake recipes with beets were not uncommon during that time. One account traces back to Jan Brunvand’s The Vanishing Hitchhiker, the book credited with launching the American urban legend fascination. In the 1920s, a woman had dinner at the Waldorf-Astoria Hotel in New York City. She was so enamored with her dessert – Red Velvet Cake – that upon her return home to California, she wrote to the chef and asked for the recipe. He sent it to her in return mail, along with a bill for $300. White. But flavor? It depends. Two kinds of frosting are most popular for red velvet. Cream Cheese Frosting. Made from scratch or prepared, cream cheese frosting’s popularity grew in the mid-twentieth century. Red Velvet Cake grew further in popularity after its cameo appearance as an armadillo-shaped groom’s cake (with gray frosting) in the 1989 feature film, Steel Magnolias.